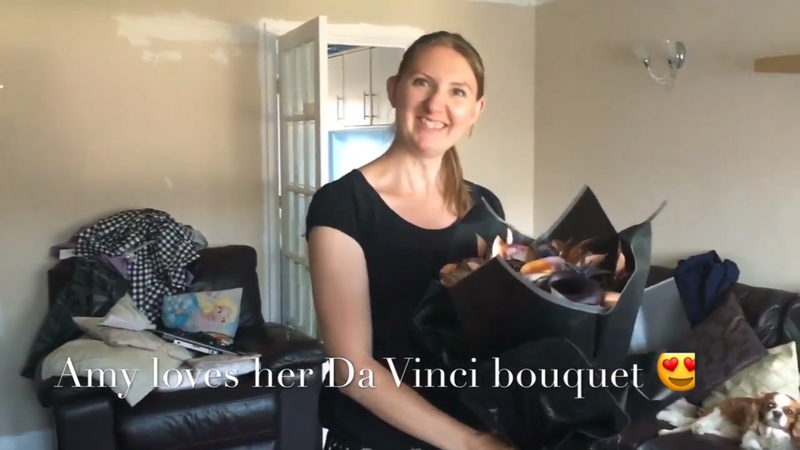 I wanted to surprise Amy on her birthday and I thought the best birthday surprise is to deliver her a beautiful bouquet of flowers. 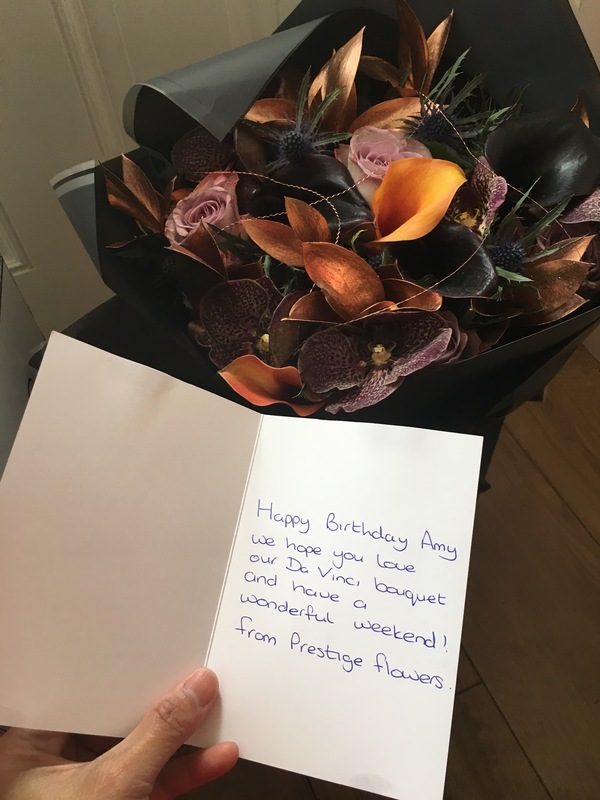 Prestige flowers sent a Da Vinci Bouquet for Amy’s birthday. It was beautiful and looks so expensive and posh. Honestly, I’ve never seen such beautiful flowers. It came in a lovely box and inside is the flowers wrapped in luxury paper. 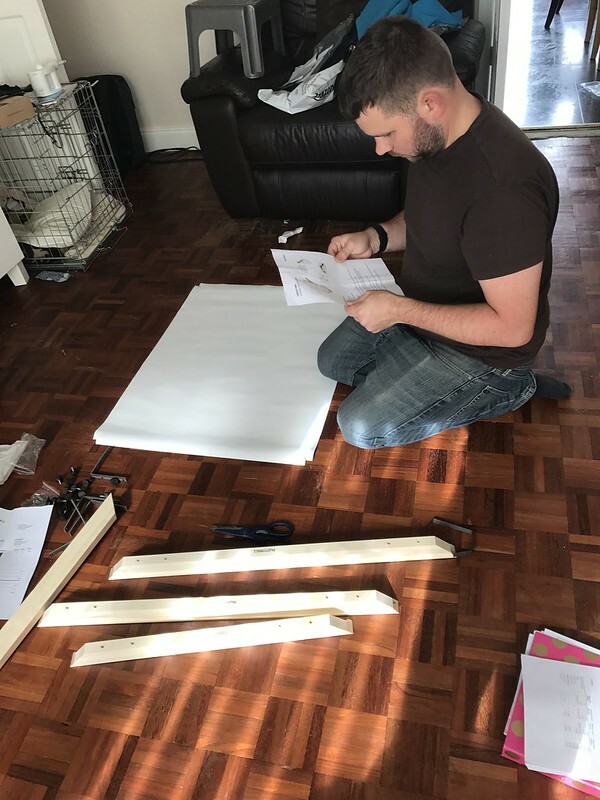 Also in the pack is the plant food and care instruction guide and there is also a card (showing the Virgin Mary Da Vinci painting) with a personalised message for the receipent. 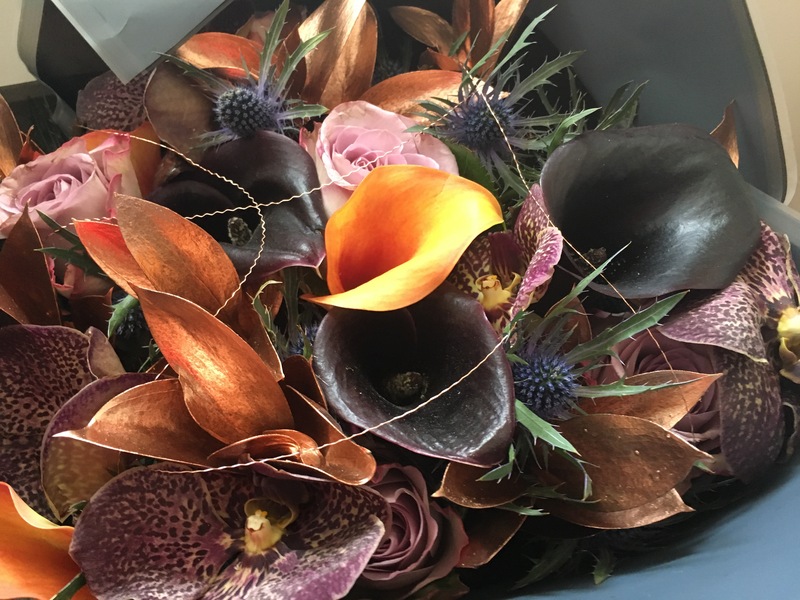 Included in the bouquet are superb Vanda Orchids, magnificent Memory Lane Roses, Calla Liles, Eryngium, Ruscus, Pistacia enhanced with gold wire. The use of this variety of orchid is used to represent the rocky setting highlighted in the Da Vinci painting, the callas are used to signify the unusual use of lighting and flora. The various colours and textures perfectly represent key elements of this painting, namely the angles, hazed sky with pastel shades and golden orbits to represent the finer details shown in the beautiful face of the Virgin. This masterpiece is housed at the National Gallery in London. 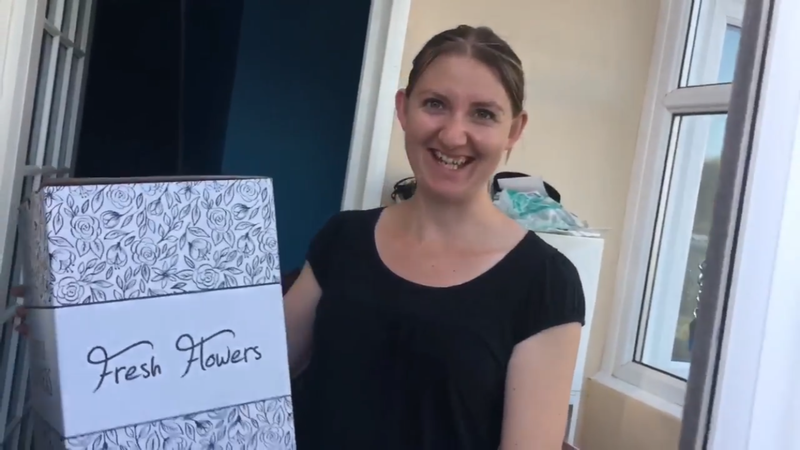 I thought Amy deserved to receive some luxury flowers inspired by artwork since she loves arts. And of course she loved it and was really impressed with this bouquet. She was really pleased and happy with these flowers and I think it’s well priced. It will be a special treat for any recipients. 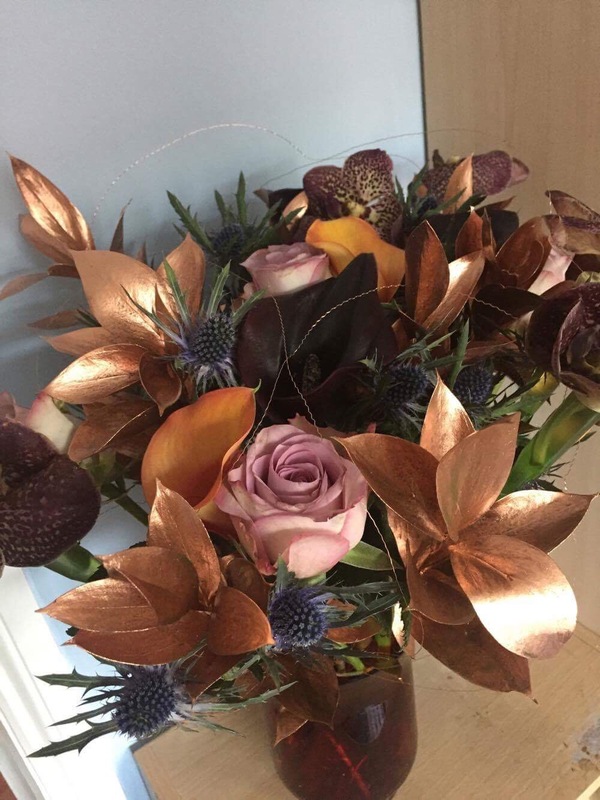 I had a good look at it as well before delivering to Amy and it has a beautiful golden leaves, I thought they were plastic but they are real. It’s really captivating. 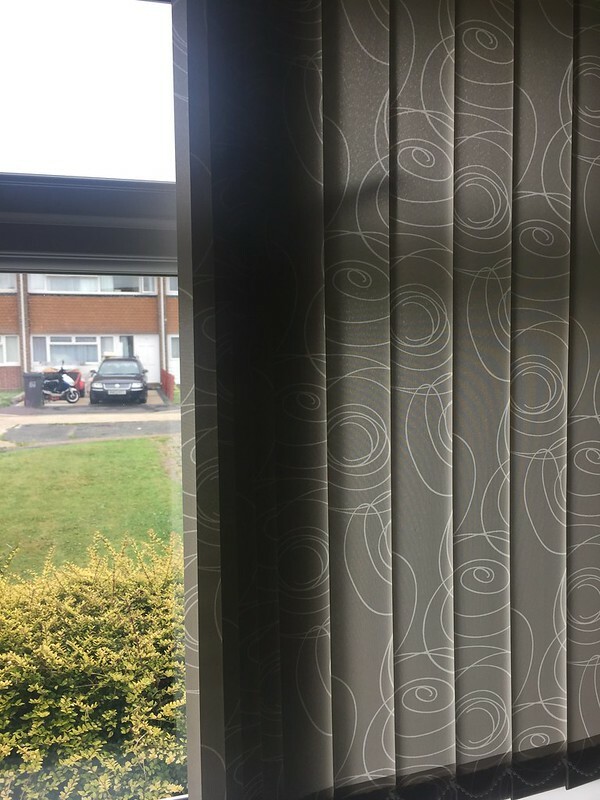 Amy sent me these photos below. 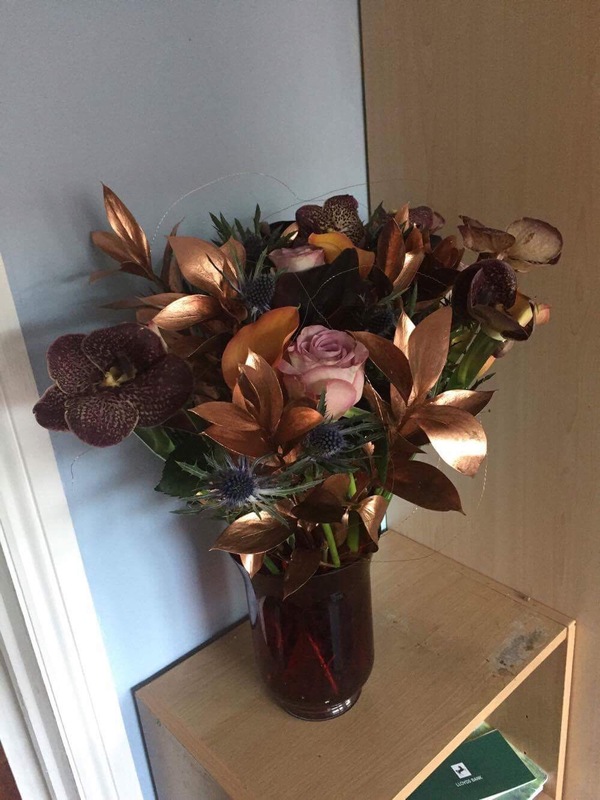 Disclosure : I was sent the flowers for the purpose of this blog post. However, my thoughts and opinion are my own including pictures and video unless otherwise stated. Family is very important and a family is not complete without a father, they are the foundation of every home. 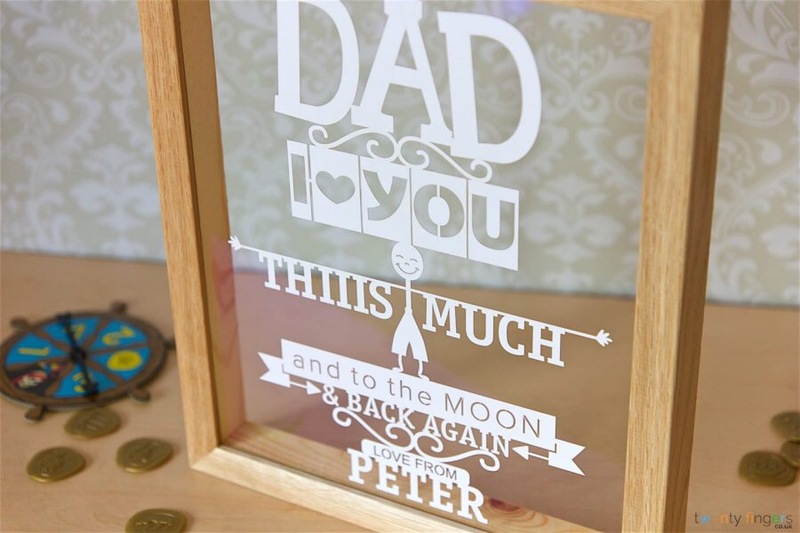 As Father’s Day approaches we would like to celebrate our fathers and grandfathers in a way to remind them how great and special they are. 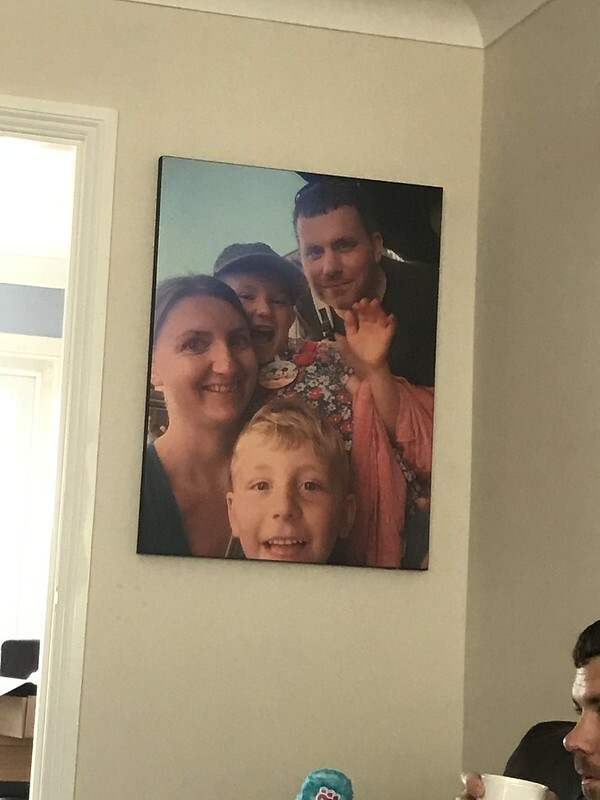 In celebrating Father’s Day I would like my husband to feel special and appreciated for being a good husband but most of all; a very loving father to our children who would give everything for them to have a good life. 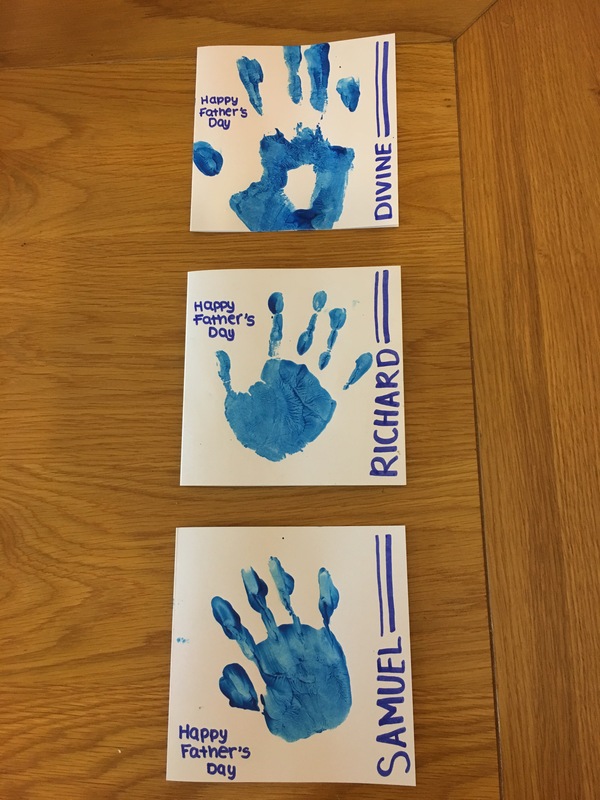 My children have done some handmade gifts for their daddy, to create a more personal touch. 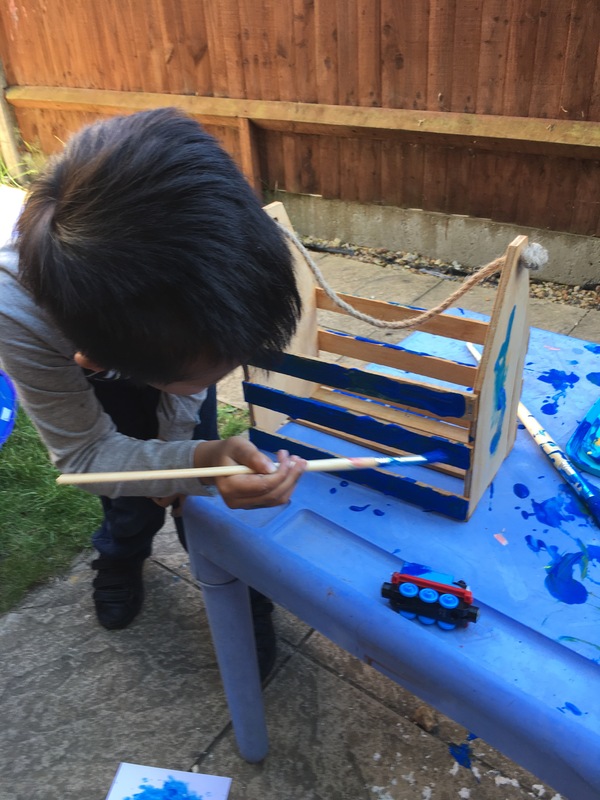 We bought some materials from Poundland and let the kids make what they wanted. 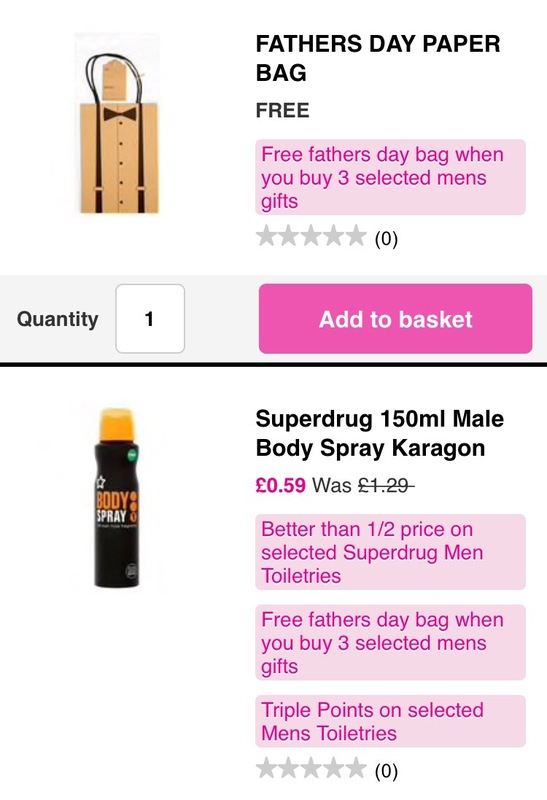 I also found these Father’s Day mum’s online. 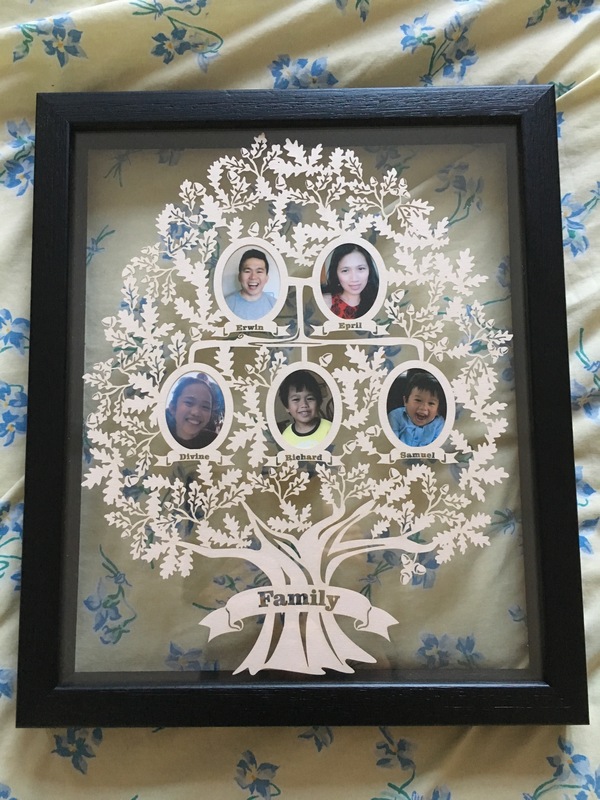 Here is what my kids bought and how we transformed it into a gift. 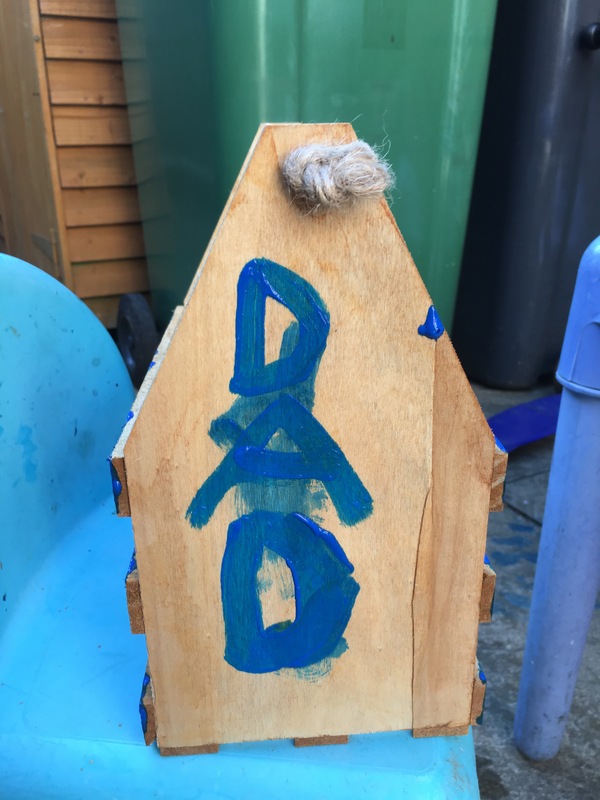 Richard got a beer crate from Poundland and painted DAD on the side. I’m pleased with his choice so I’m sure my hubby will be too, as he drinks beer and wine. 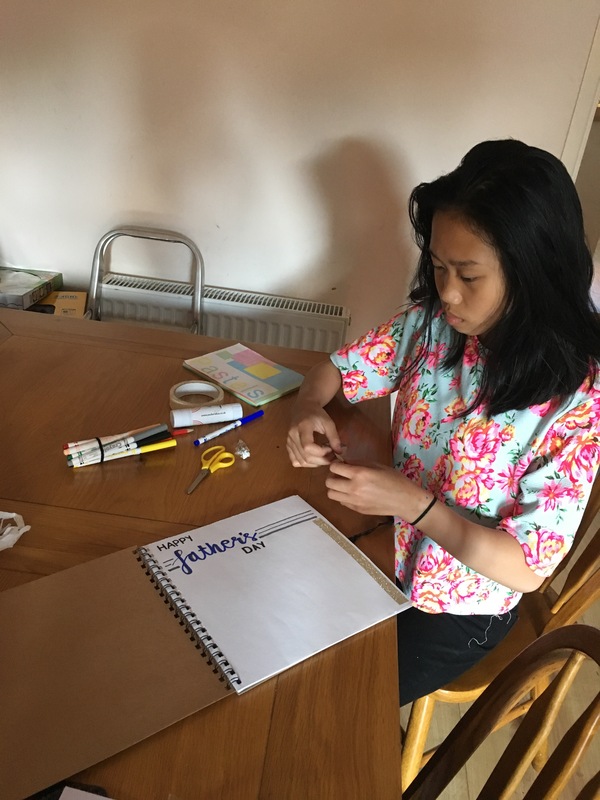 My teenage daughter divine chose a scrapbook as she loves arts and drawings. 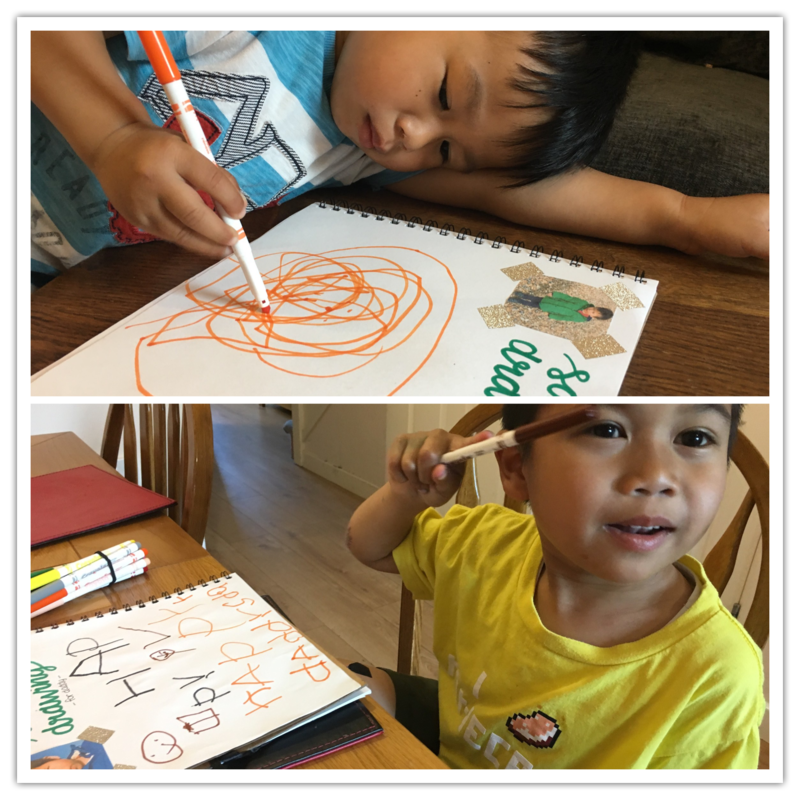 She designed it and let her siblings have a scribble too, so all of them got to write in the Father’s Day scrapbook. 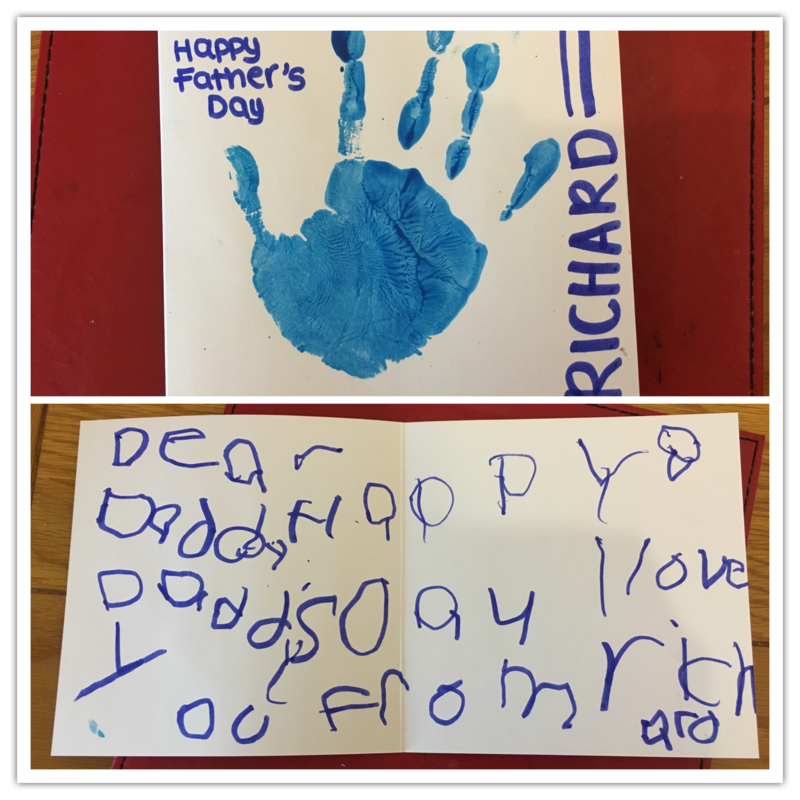 They also did their hand prints on their handmade Father’s Day card. I love this one from twenty fingers. 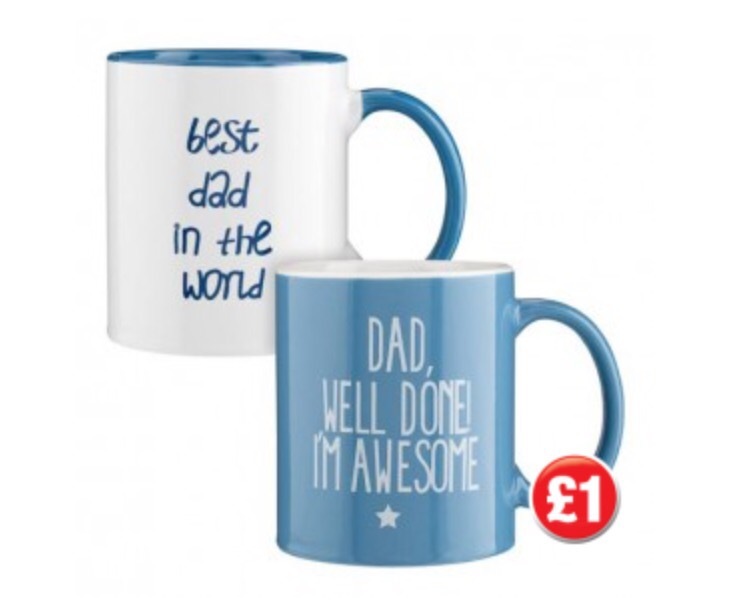 This daddy and me set is lovely as well. 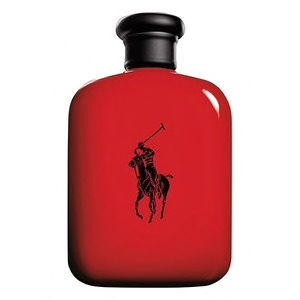 It’s a nice keepsake for dad to always wear everyday. 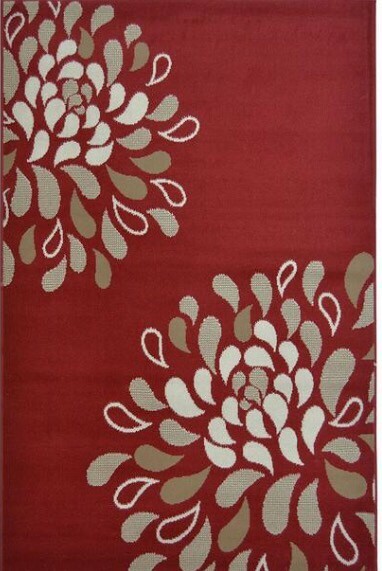 If you order this through our site then you can get a 10 percent discount. 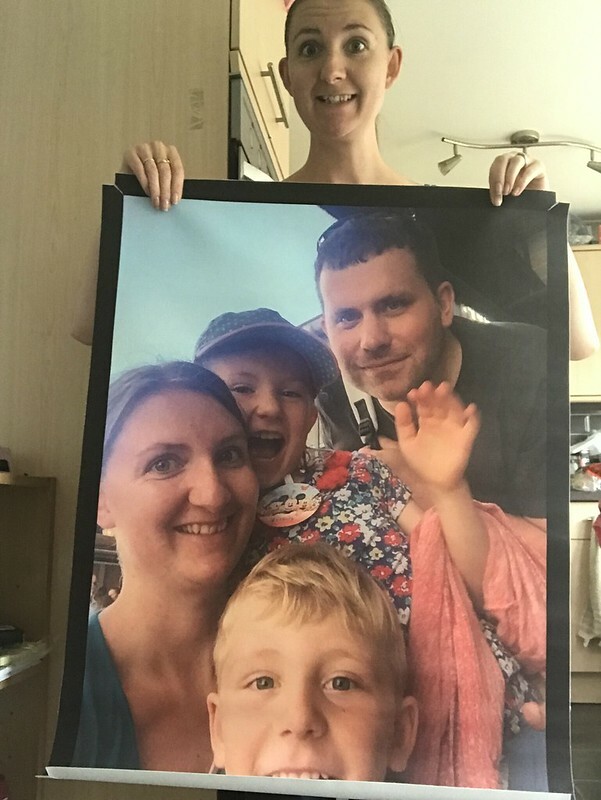 A personalised fridge magnet is a great present as well for Father’s Day and what could be better than to have it free. 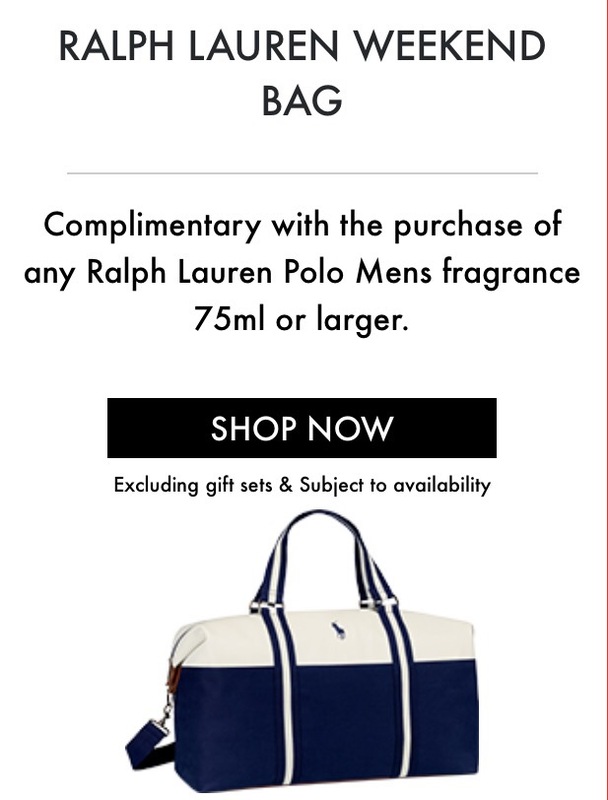 Yup that’s right it’s free just pay postage. 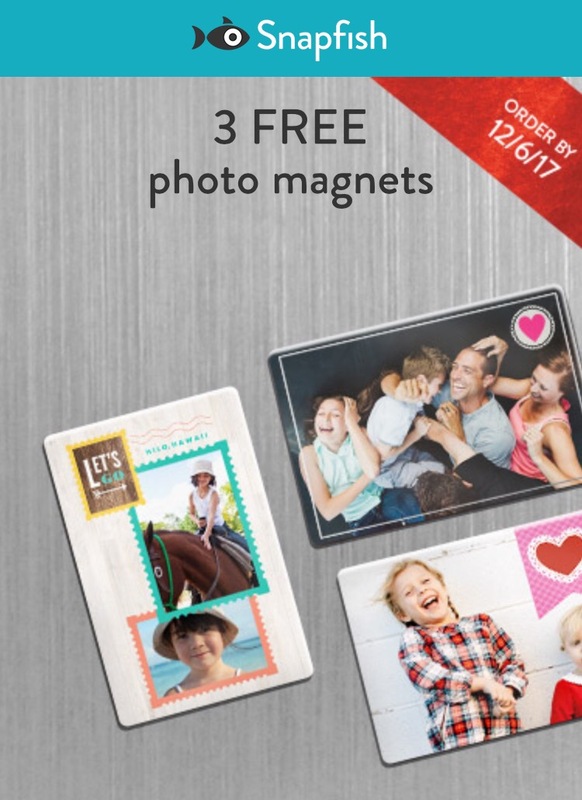 Snapfish Is having a promo offer of free 3 photo magnets. Perhaps he has a sweet tooth? 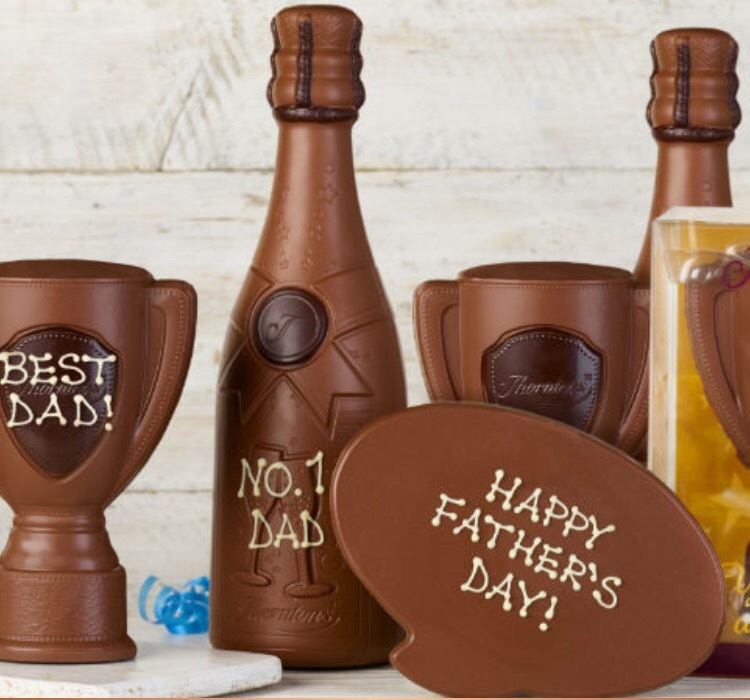 Well Thorntons have you covered for a special Father’s Day chocolate. They looks tempting don’t they?